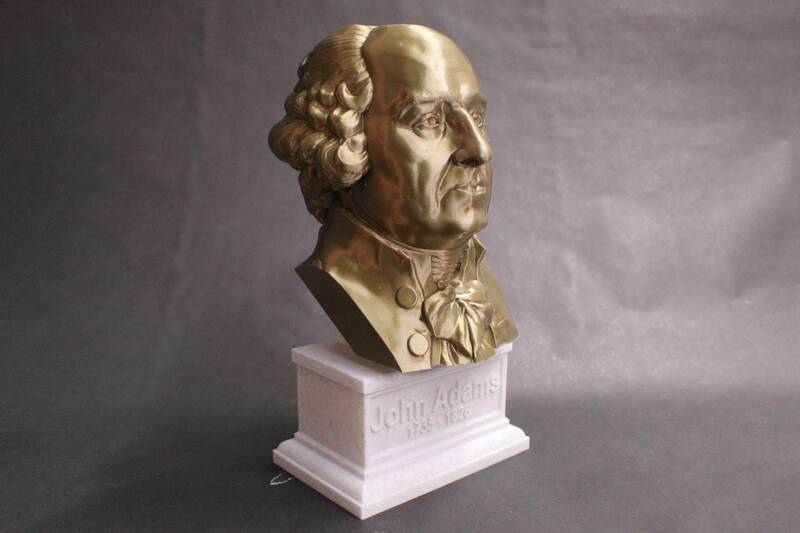 This 3D printed bust of John Adams, the second United States President. 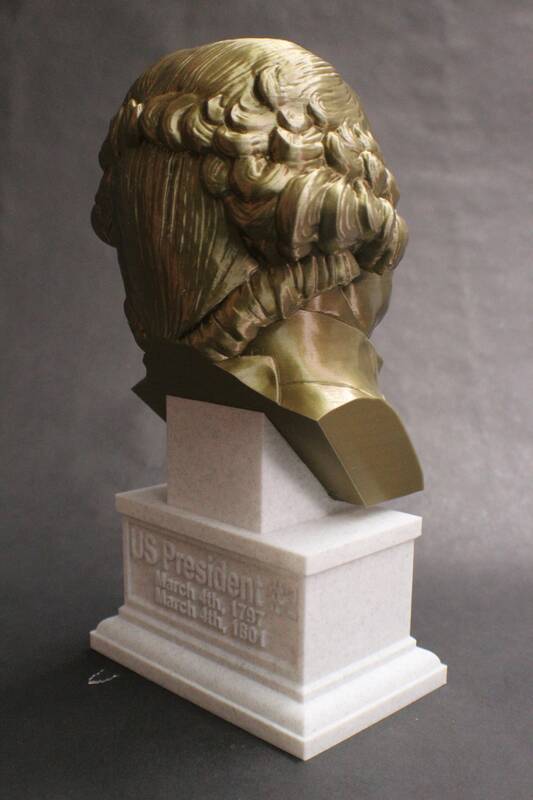 This one is printed in a bronze and marble PLA, giving it a realistic metal/stone look and a surprise whenever someone picks it up to discover it's actual weight. It is more durable than alabaster or plaster, and is washable with lukewarm soapy water for easy spring cleaning. 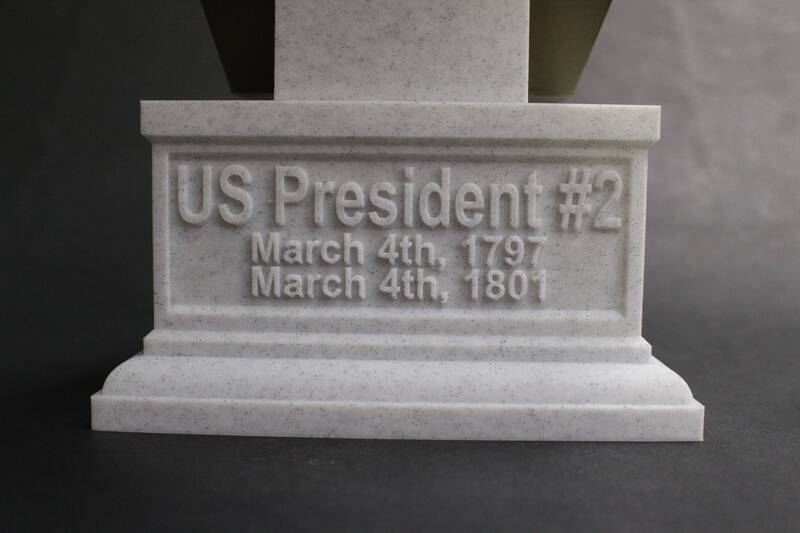 It comes on a custom plinth that has his lifetime on the front, and his dates in office as president on the back. 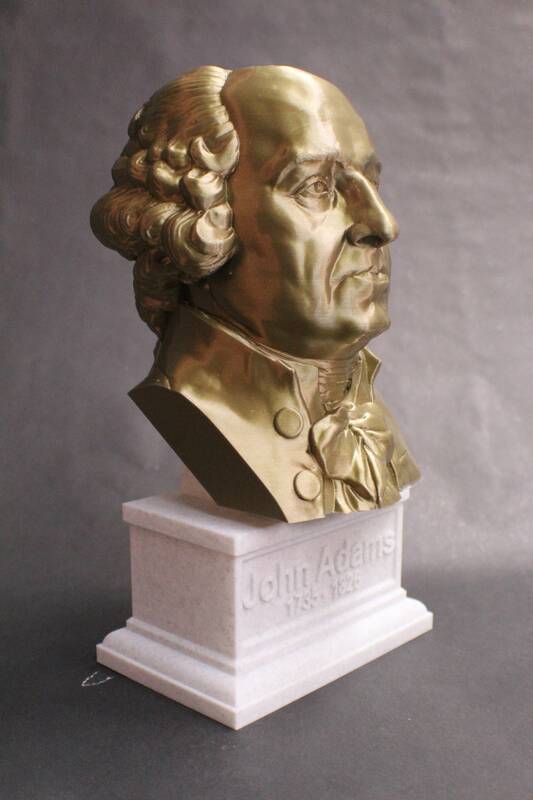 John Adams (October 30 1735 – July 4, 1826) was one of the Founding Fathers of the United States, serving as the first Vice President (1789–1797) and as the second President of the United States (1797–1801). He was a lawyer, diplomat, and leader of American independence from Great Britain. Adams was a dedicated diarist, and correspondent with his wife and advisor Abigail, and recorded important historical information on the era. 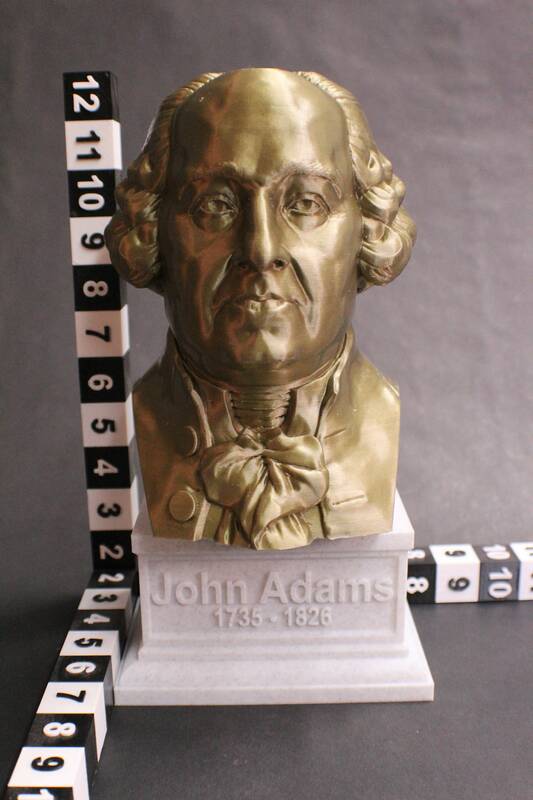 A political activist prior to the American Revolution, Adams was devoted to the right to counsel and presumption of innocence. He defied anti-British sentiment and successfully defended British soldiers against murder charges arising from the Boston Massacre. 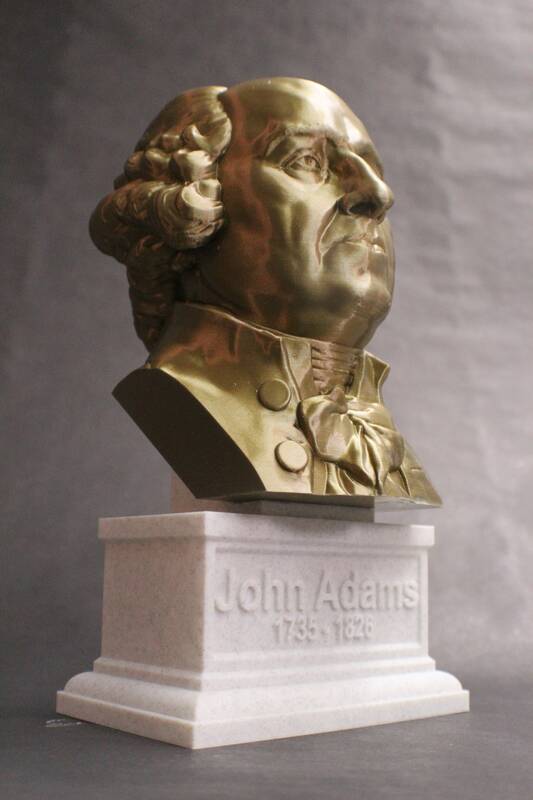 Adams was a Massachusetts delegate to the Continental Congress and became a principal leader of the Revolution. He assisted in drafting the Declaration of Independence in 1776 and was its foremost advocate in Congress. As a diplomat in Europe, he helped negotiate the peace treaty with Great Britain and secured vital governmental loans. Adams was the primary author of the Massachusetts Constitution in 1780, which influenced the United States' own constitution, as did his earlier Thoughts on Government. Adams was elected to two terms as vice president under George Washington. 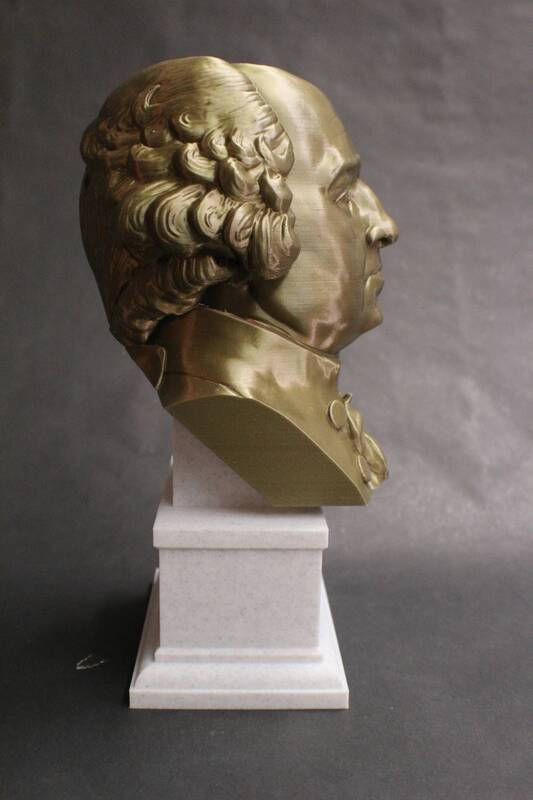 He then won election in 1796 as president; during his single term, he encountered fierce criticism from the Jeffersonian Republicans and from some in his own Federalist Party, led by his rival Alexander Hamilton. 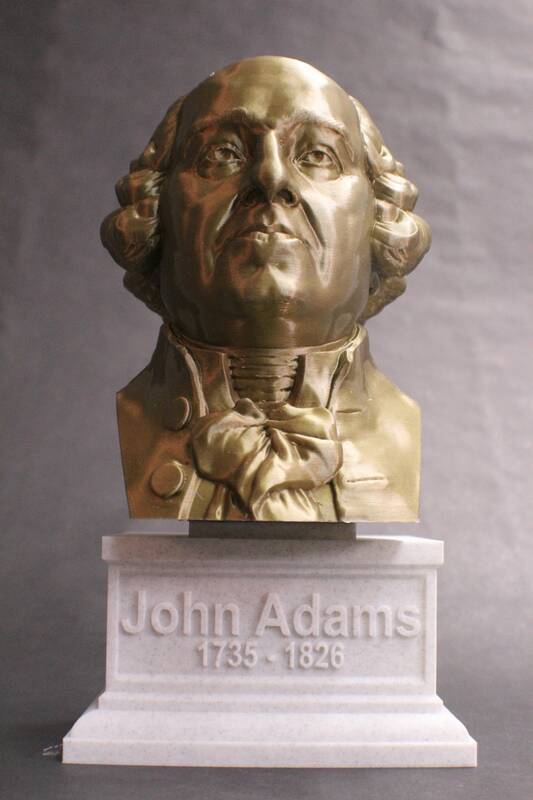 Adams signed the controversial Alien and Sedition Acts and built up the army and navy in the undeclared "Quasi-War" with France. The main accomplishment of his presidency was a peaceful resolution of this conflict in the face of public anger and Hamilton's opposition. He was the first president to reside in the executive mansion now known as the White House. Opposition from Federalists and accusations of despotism from Republicans led to Adams' re-election loss to his former friend Thomas Jefferson, and he retired to Massachusetts. He eventually resumed his friendship with Jefferson by initiating a correspondence that lasted fourteen years. 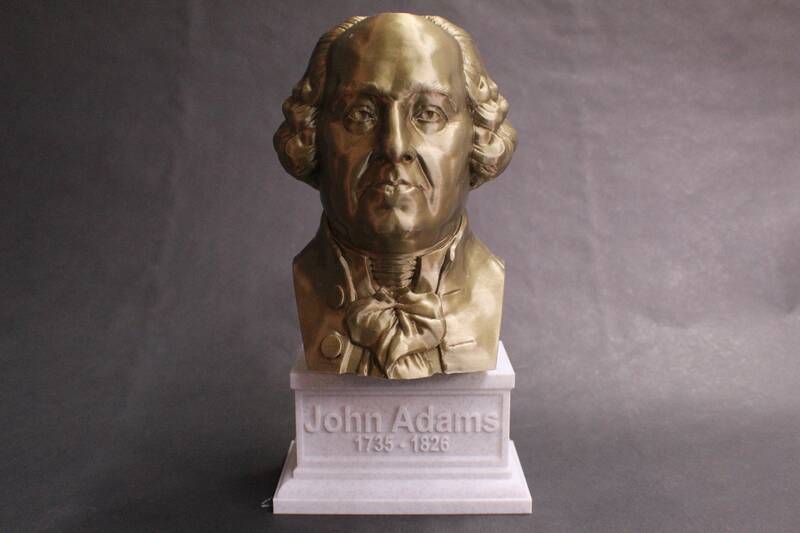 He and his wife generated a family of politicians, diplomats, and historians now referred to as the Adams political family, which includes their son John Quincy Adams, the sixth president of the United States. John Adams died on the fiftieth anniversary of the adoption of the Declaration of Independence, hours after Jefferson's death. Surveys of historians and scholars have favorably ranked his administration.